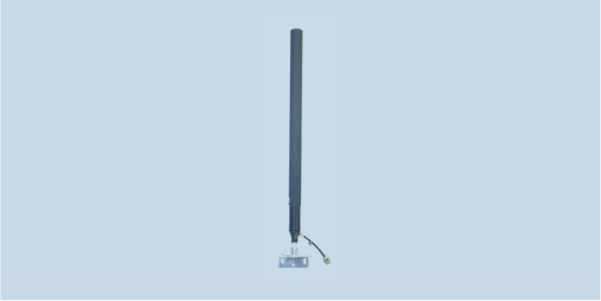 OMNI-A0125 uses a two-antenna stack of multi-band dipoles to provide gain at L and S frequencies and down-tilt to improve close-in coverage. The lowest feed point is elevated about ten inches from the base of the antenna, allowing the signal to be radiated over user’s head. This reduces absorbed power and increases field strength at the target. A 5.2 to 5.8 GHz dipole resides at the top of the radome. Full-specification coverage starts at 868 MHz, but reduced performance down to 500 MHz is possible.